Cloud computing can help prevent several business nightmares encountered by young and old entrepreneurs. Implementing certain software features for cloud backup strategies, as a matter of fact can salvage your situation in the event of natural disasters and some other unforeseen circumstances that can result in loss of key business data and information. The first step towards a viable disaster recovery through online backup is to conduct a thorough analysis on the cost of owning your business. This procedure will help you search for a cloud backup service provider who can integrate your business archives, and you can migrate your data set from a simple backup plan to an archive plan. The benefit of this is that online search and retrieval capabilities become more effective and functional. You need to define a solution for your entire business backup, this will help you identify your client needs as well as you own specific business needs. There is no need to rush into a cloud backup service agreement, you need to test the backup strategy, just to confirm if you need it. Testing a cloud backup service will help you detect its security features alongside its encryption capabilities. For your enterprise backup to remain effective and relevant to your business backup strategy and plans, you need to consider the necessary regulatory compliance, especially those relating to where your enterprise data may be move, or stored. For instance, you need to know in which country your data and backups are kept. You need to educate your staff on different cloud backup steps, including: bulk data import procedures, fast data recovery, data encryption, and bulk data backups. 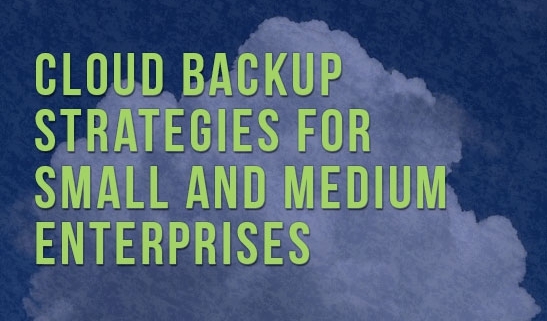 Having a complete cloud backup does not mean you should ignore backup on site. You need to backup your data locally and remotely, especially, if your data is accessed publicly. Both on premise and cloud storage are the ideal combination for more effective data management. As a matter of fact, cloud computing experts suggest that you backup your data locally before having a cloud backup. This will facilitate a more effective data recovery strategy. As an entrepreneur, you need to ensure that your data is recoverable both on premise and from your data backup vendor. One or multiple cloud backup vendors? If a single vendor can provide all you need as regards cloud backup and data security, then you should stick with it. However, some business enterprises may require more than one vendor. Having multiple vendors for your data backup will mean that you have to spend more. But, it will help mitigate several risks of handling all your data to one single data backup company. You need to consolidate your enterprise’ IT infrastructure through the most reputable cloud backup service providers around. The use of multiple cloud backup vendors attract a number of benefits, likewise, some issues such as conflicting service may arise. For this reason, you need to specify which backup vendor performs which functions so that there will not be any conflicting performance issues. There are many reasons that businesses should consider using the cloud. Among other things, the cloud is versatile, flexible, scalable and allows instant accessibility for mobile workers wherever they are. These are all good reasons for your company to consider availing itself of the services that the cloud has to offer. However, there is one overriding reason that companies should consider using the cloud, and it is related to the storage of data. If your company stores data, then it should store it in the cloud. 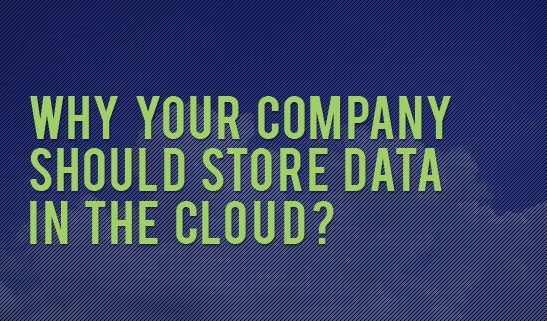 So why should your company store data in the cloud? Let us count the ways. First of all, storing data in the cloud is also cost effective. In order to store data in the cloud, you do not need to make a huge investment of money. The infrastructure already exists, so all you have to do is arrange to store the data that you want to place in the cloud. It is fast, easy, and inexpensive. Secondly, storing data in the cloud is the most efficient and easiest way to keep track of important information. It allows your company to have all of your data in one place. Essentially, it is one stop shopping for all of your information requirements. Not only that, the cloud allows your company to store big volumes of data. Actually, the cloud allows you to store an unlimited amount of data. Storing large volumes of data can present many problems. This data can enter the organization from a variety of sources. Just to name a few, these sources can include email communications, e-commerce, call data records and web logs and documents, and all other different types of data that can flow through an organization. It also gives an idea of how difficult it can be to store the huge volumes of data that a company generates. This can be one of the major challenges facing companies today. Considering what is discussed above, the cloud is a blessing in disguise. It can streamline the storage of all of your company’s data, no matter how diverse and no matter what the volume, and can make it instantly accessible to all of your authorized employees. It negates the challenge of farming out your data in different places. Whether you have a huge volume of data or a small amount of data, the bottom line is that, it can all be stored in one central place in the cloud. For a worry free, one safe and secure place of storage for your important data, consider using the cloud as a solution to your storage needs. It is hands down the most efficient way to keep track of all the data that your company generates. https://datadepositbox.com/wp-content/uploads/2015/06/art16.jpg 335 547 datdepbox https://datadepositbox.com/wp-content/uploads/2018/08/datadepositbox-logo.png datdepbox2015-06-11 13:17:192015-06-11 13:17:19Why Your Company Should Store Data in the Cloud? 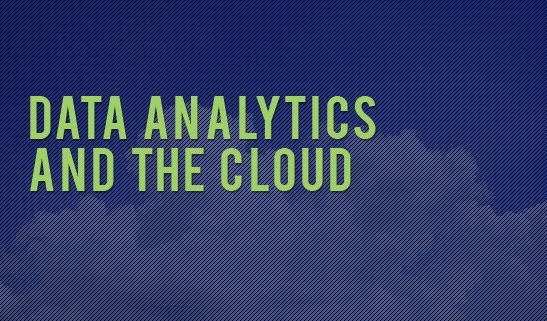 What are data analytics and how do they relate to the cloud? Can data analytics help speed up monetization of the cloud, and if so, how? How important are they to cloud based businesses? How can a company’s data become financially beneficial to them? Data analytics help to add value to business decision making by transforming raw data into data constructs. This aids in the process of data monetization — i.e. — allowing the company to benefit financially from the data that it possesses. It puts a money value on its data; and of course all companies would like to make a profit and benefit from the data that they posses. This is particularly relevant to financial services or companies that conduct market research or market trend analysis. These companies can help predict customers product preferences. The cloud makes the storing and access to their data much easier. Instead of having to access paper or computer files, they can access the data they need in the cloud. It makes the data they need accessible for all of those in their company who may need it. All they need is access to the Internet via a handheld device like a smartphone, tablet or netbook. In fact, because of the nature of their business, cloud based services are in a unique position to help utilize Analytics as a Service which will benefit companies that rely on data analysis as an essential part of their business. In the industry, this is known as Analytics as a Service (Aaas) and cloud based services are poised to benefit from this because cloud based data analytics can streamline access to data in the cloud and provide an inexpensive and flexible service. This service can be highly targeted and available whenever it is needed. In fact, this has the potential to not only allow companies that access cloud based services to monetize their data, but it is also revolutionizing the industry. The reason for this is that companies that conduct market research and market trend analysis can access invaluable information in the cloud. This information can be converted into dollars. Of course, cloud based data analytics’ benefit will not be limited to only companies that conduct market research and research trend analysis. This is relevant to any company that wants to store and analyze key data in the cloud, like customer profiling and segmentation, customer retention, and more. Such key data can be stored and accessed in the cloud, and this information can eventually help a company benefit monetarily. Therefore, cloud based analysis can be a boon for companies. It is another way that the cloud based technological revolution is benefiting the business world. 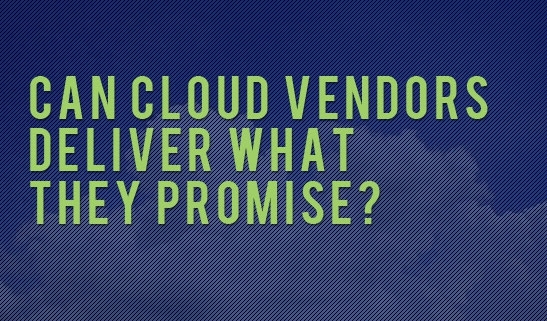 Can Cloud Vendors Deliver What They Promise? Cloud vendors offer a variety of services. What assurances are there that cloud vendors can deliver the services they promise? How can they guarantee they will be able to satisfy their customer’s demands? Like any new technology, cloud based technology has its share of challenges. With the industry changing so quickly due to technological advances, it can be difficult for companies to keep up with the changes. It can also be difficult for companies to keep their customers up to date with all of the latest changes. This could create a lack of trust from consumers, who are wary to take a chance on a new technology that they have never tried before. It is up to cloud vendors to do whatever they can to allay their concerns. Cloud vendors must also deliver if they promise a certain level of performance. They need to provide agreed level of service. However, you need to keep in mind that, if a cloud service provider is unable to provide the level of service that they promised, there may be circumstances beyond their control. For example, a vendor’s promises might be dependent upon certain specifications being fulfilled prior to the delivery of the service. If these specifications are not what they are supposed to be, this will hinder the ability of the cloud vendor to do what it has promised. In addition, another extenuating circumstance is that there may be hardware or software problems, which can adversely affect the cloud vendor’s ability to provide adequate service to its customers. Therefore, before you blame your cloud vendor for not being able to provide the level of service you were expecting, try to make allowances for extenuating circumstances that may be preventing them from fulfilling their end of the bargain. However, despite these challenges, there are a variety of things that cloud vendors can do to ensure customer satisfaction. First of all, they can ensure that a customer’s data is safe and secure. If data is lost, they can assure them that an adequate data recovery plan is in place to retrieve the lost data. Another thing they can do is to work with customers to keep them informed of any new industry changes or changes to their service. Communication is one way of keeping cloud vendor customers happy. In addition, some cloud service vendors offer service agreements, spelling out in detail all of the services they will provide. This is a good way for a customer to ensure they are receiving the services they desire, and have them in writing and ensure copies are kept in a safe place. It is up the individual company to ensure that they maintain the highest standards and to keep the lines of communication open with their customers. This is the most effective way to keep customers happy. Communication is the key. https://datadepositbox.com/wp-content/uploads/2015/06/art14.jpg 335 547 datdepbox https://datadepositbox.com/wp-content/uploads/2018/08/datadepositbox-logo.png datdepbox2015-06-04 09:00:402015-06-04 09:00:40Can Cloud Vendors Deliver What They Promise? For a variety of reasons, some companies are reluctant to do business in the cloud. They may have reservations about the cost, about the security of the technology or may just not have enough information. 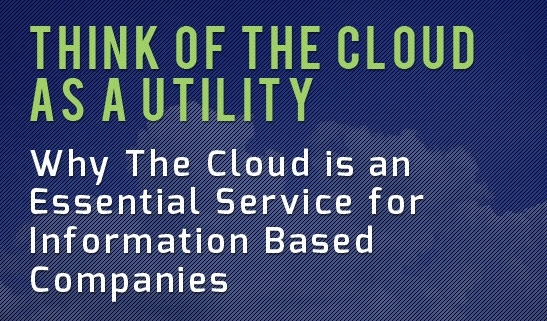 One way to allay some of these concerns is to consider the cloud as a utility. All companies use utilities to help their business function. Heat is needed to keep the company’s buildings at a reasonable temperature so its employees can do their work effectively, particularly on cold winter days or rainy and wet winter days. Electricity is needed to help a company power its computers and all of its devices. It is also needed so that its employees aren’t left doing their work in the dark. Electricity, therefore, has become an essential utility. So, what about cloud services? Are they a utility or merely a service? Perhaps they can be viewed as a technological utility for businesses. If we look at them as a utility, are they a necessary or essential utility? The answer depends on a company’s needs. If your company is an information based enterprise that relies on data, then it can be argued that the cloud can now be considered to be an essential service. Why would this be? Well, first of all, for information based companies that rely on access to data, the cloud is a their life line. It allows them the freedom to store an unlimited amount of data safely and securely. They can efficiently store important data and have access to it whenever and wherever they need to. It allows their employees to travel on the road and access important files when they are travelling for business. It allows them to open up branches in different cities, secure in the knowledge that if they access cloud based services, access to critical data is instantaneous. This is an incredible innovation that cloud technology has made possible, and is particularly advantageous to information based companies. In fact, storing data in the cloud, all in one place, helps companies to become more efficient. It streamlines their business and allows them to operate more effectively. Information based companies need not spend money building inexpensive infrastructure to store their data because it always exists in the cloud. All they need to do when they choose a cloud vendor is transfer their data to the cloud, where it will be securely stored. If a company is all about data and information, they should seriously consider the benefits of cloud computing. Once they start using it, it could become an essential service.